There are plenty of things to see and do in Tenerife. Undoubtedly, one of the best and most popular day trips is a visit to the small remote hamlet of Masca. Like many of the alternative resorts of Tenerife, the village has become increasingly popular as it becomes known – and it’s not surprising, given its attractive location surrounded by peaks and forests. 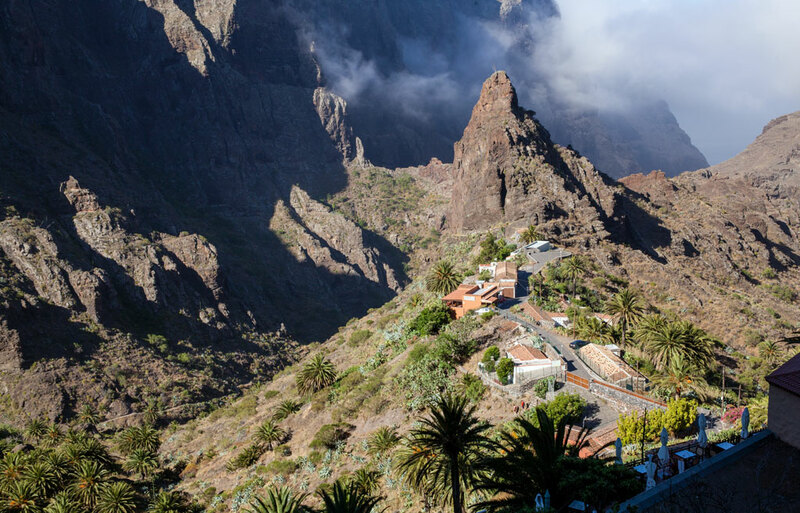 Most people visit Masca not to stay, but to enjoy a few hours exploring the beautiful scenery, and to experience the winding hairpin bends that lead there. 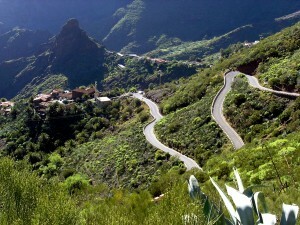 In fact the road to Masca has become one of Tenerife’s ‘must do’ adventures. Many people choose to join an organised tour or take a taxi in order to let someone else do the driving. But intrepid types take on the challenge themselves – and enjoy every second of it. If you’re a confident driver with plenty of experience, the road to Masca will certainly give you a challenge. Described as a white-knuckle drive, the road twists and turns, snaking its way along sheer mountain sides with heart-stopping drops and tight bends. Above all, drive with care and take the zig-zag bends with caution. Be prepared to pull over into one of the laybys when another car approaches, as the road is often too narrow for two-way traffic. And if you’re driving too slowly for those behind you, simply pull in and let them pass – you need a high level of concentration for this challenge, and worrying about the car behind won’t help! If that sounds like your kind of challenge, get a quote for your car hire online at tenerifecarhire.com, and choose from a wide range of vehicles including people carriers, sturdy estates and powerful 4x4s. Once you’re in Masca, the village lies at the top of the Masca Gorge. From here you can enjoy a strenuous hike down the gorge to the beach, which is a popular route. It’s quite a climb and takes 3 hours on average each way, so be prepared and take supplies. And of course if that’s too much like hard work, you can simply enjoy the village’s central square, or sit back with a picnic and enjoy an al fresco lunch with a knock-out view. Previous Previous post: What To Do in Tenerife North?